Competition could help you find lower rates and improved services. NOTE: The tasks and timings shown here for your Garbage Rates are based on a single-family home (owned), located in Massachusetts, United States, with priority set at ‘1 star' or higher, for all possible goals. If you set your personalization differently in your Home Wizard app, then you may get reminders for different tasks and timings in your recommended home care program for your Garbage Rates. Contact local city offices to find the names of garbage companies that service your area. Check and compare for rates and special services (e.g. recycling). 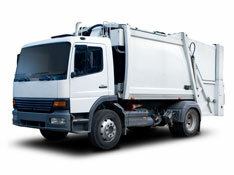 The benefits of this task will depend on whether there is new competition for waste hauling services in your area. The cost of this task is relatively low. It is estimated that this task should take less than an hour to do the appropriate research.